Proactive attitude: in Top Management we don’t look for excuses, we analyse any potential problem and present various solutions as well as our recommendation to mitigate the risk. Multi-lingual and adaptable team: at Top Management we speak ten languages fluently thus forming a multi-cultural, multi-disciplinary and highly adaptable united team with an only goal: the success of the project. Standards worldwide: we work to comply with the local, regional or country standards without sacrificing your company’s internal standards. Small details are also important to us: we work in big, complex projects of great technical difficulty. We also do so in small and/or simple projects. No matter what the type, we always proceed thoroughly. Integrity: we only bear in mind our customer’s interests when we recommend companies that might carry out the project’s works. Dedicated employees: our employees’ dedication, hard work and achievements propel Top Management’s development and shape a single corporative culture. Our customer’s loyalty: in Top Management we strive to know and adapt to our customer’s needs and to maintain a close relationship with them. Proof of this is the trust they place in us. 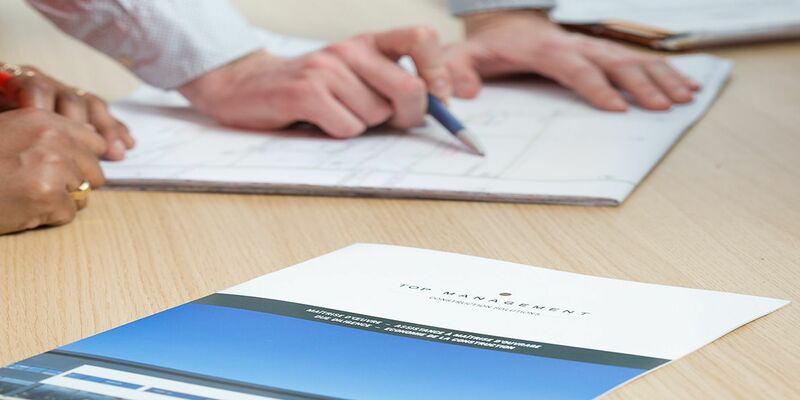 As Top Management’s client you can invest your time in your company’s progress while we ensure your project’s success.